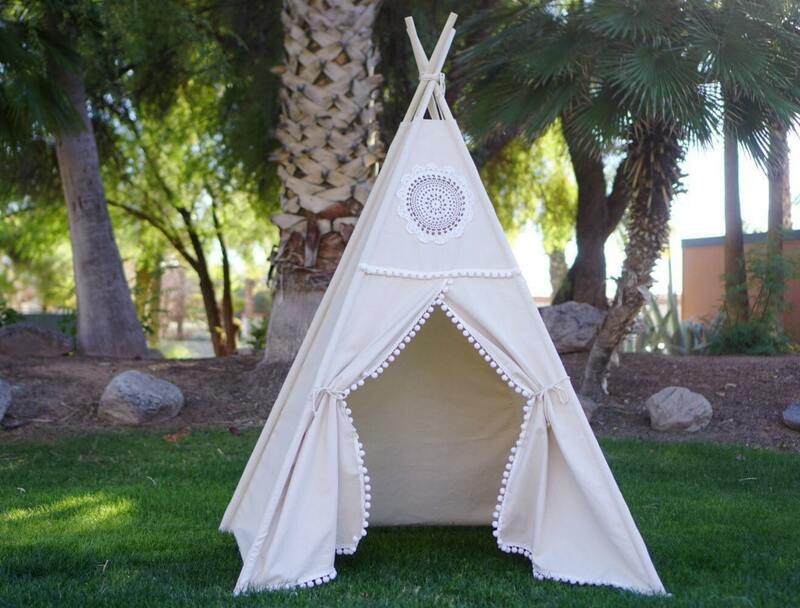 The vintage teepee comes with TucsonTeepee's signature design, the doily window top and high quality pompom trim.It is one of the the most famous design in my store. 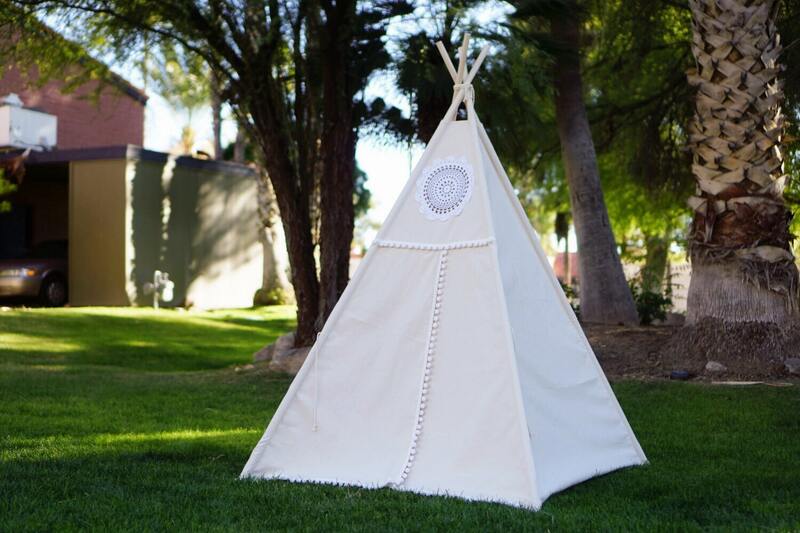 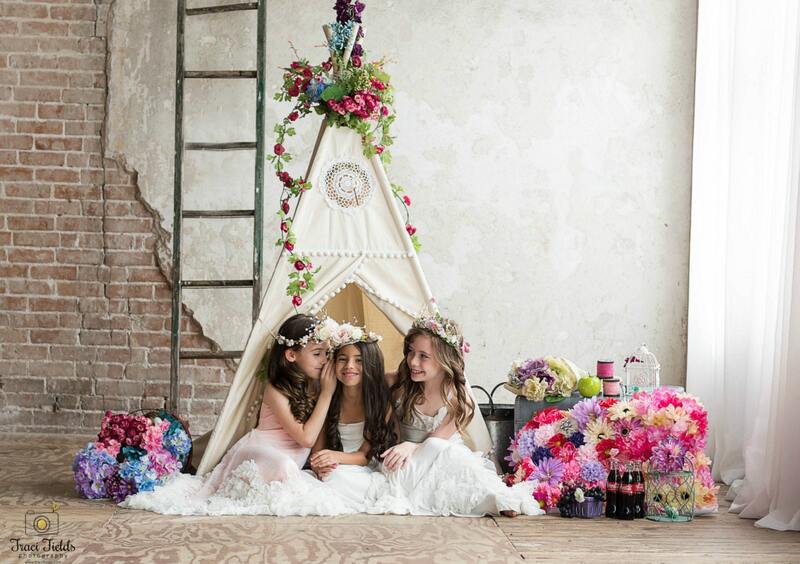 What is special about this teepee? 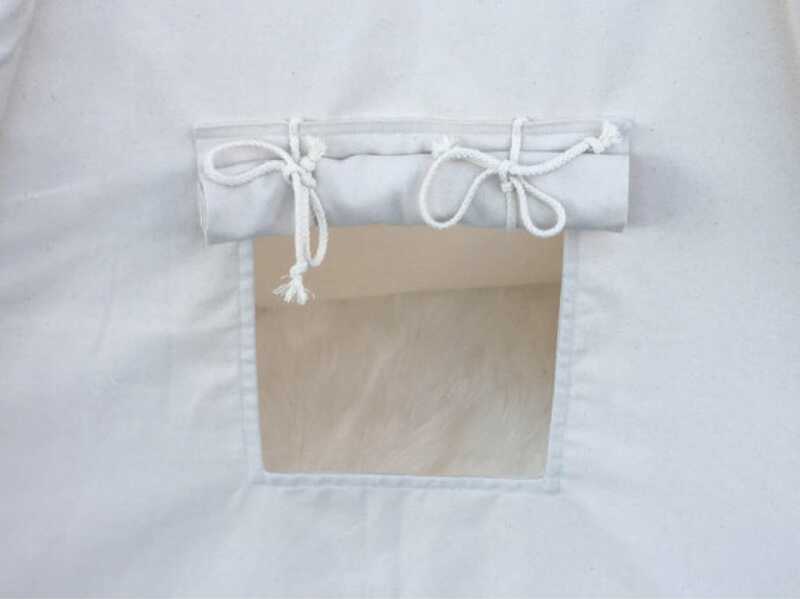 1) The handmade crochet doily, is also a peekaboo window from the front panel. 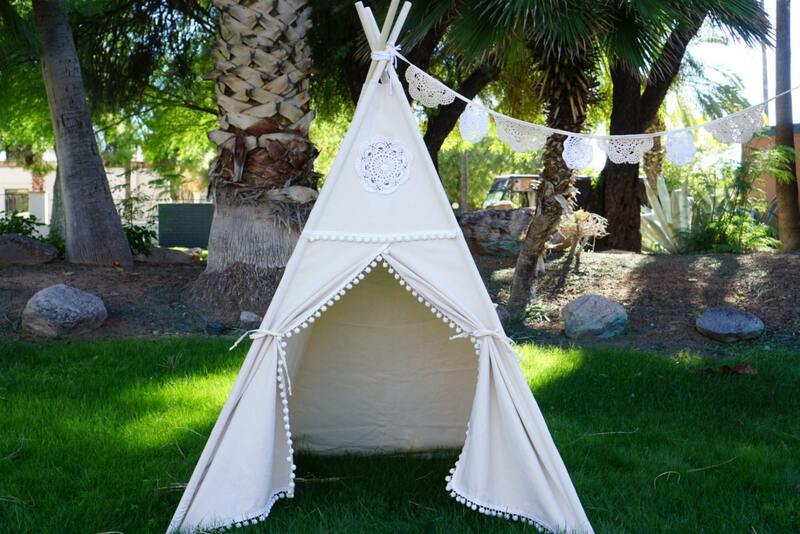 The pompom and crochet will leave pretty shade on the teepee when the light goes through it. 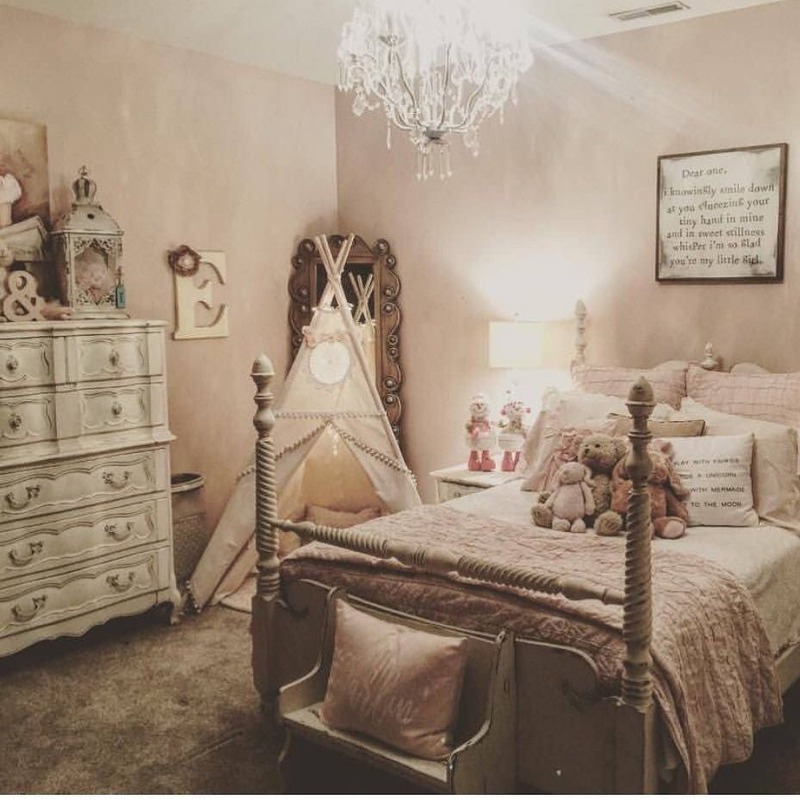 It is prettier when you see it in person. 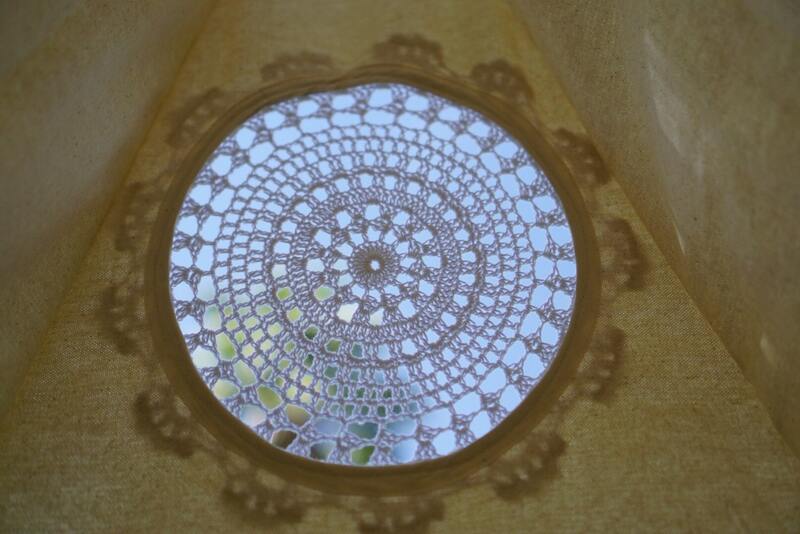 Doily pattern may be slightly different from the picture as it is hand crochet doily. 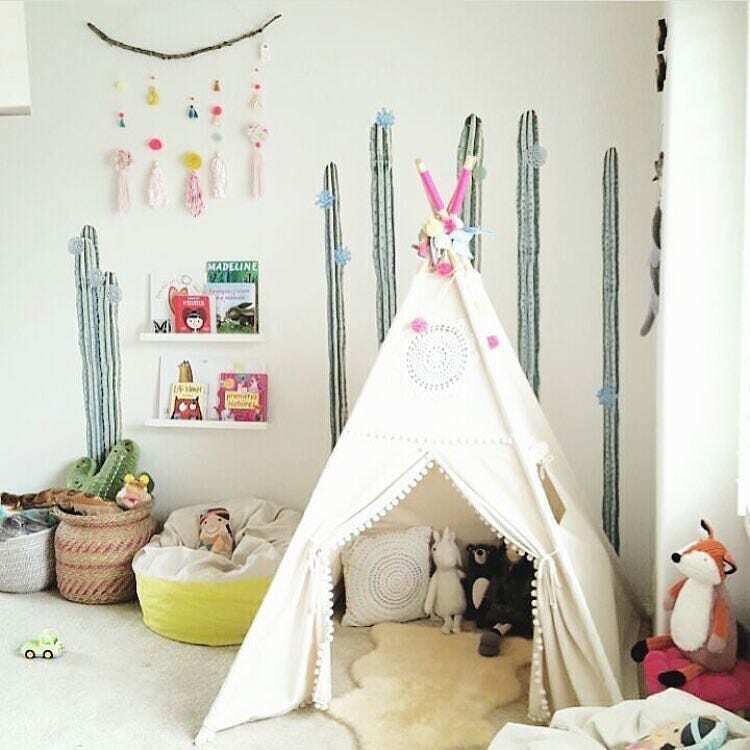 2) The pattern of the teepee is redesigned to make the front panel could close completely and give your little one better privacy when they want some personal room.